Notions Sewing Studio is a sewing and crafting studio based out of Eureka, California. Our mission is to provide a quality learning experience where each student can enjoy the experience of sewing and crafting in a fun, nurturing environment. 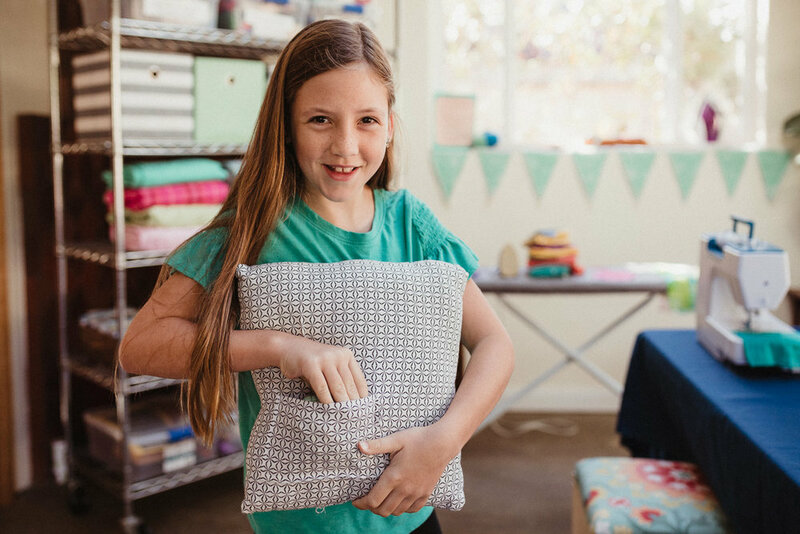 Our goal is to encourage confidence and creativity giving each student the skills they need to work independently toward their own sewing goals. We offer a variety of kids camps as well as private and group lessons for all ages in our garden studio in Eureka. We are also a mobile studio so you may find us at other venues as well. We offer after-school programs at schools and we’re happy to bring classes to you. Contact us for more information about our mobile studio if you would like us to join you in your studio. We offer a variety of classes for kids and adults. We offer kids camps during most school holidays. 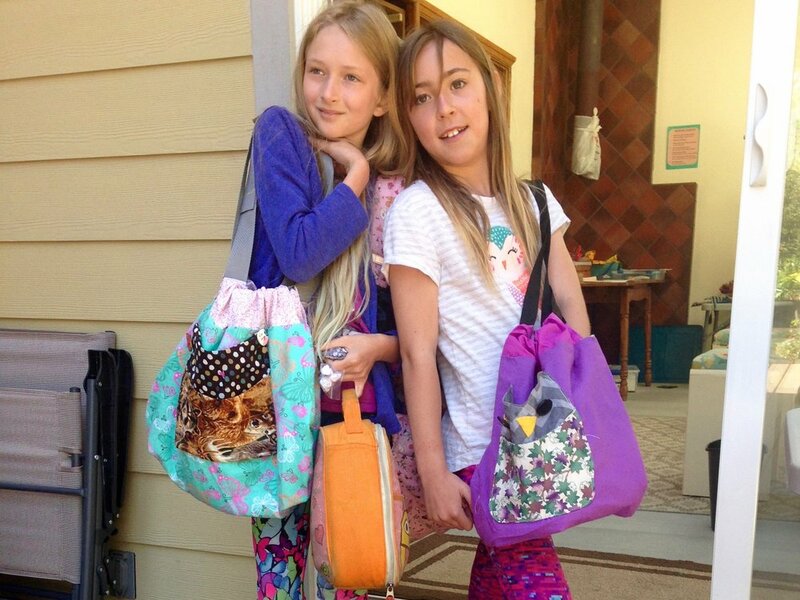 We also work with schools and after-school programs to provide a variety of sewing classes. We work with basic STEAM practices teaching the Science, Technology, Engineering, Art and Math of sewing so it becomes a learning experience while working on fun projects. While we have a large focus on teaching kids we are here for anyone excited to learn. We offer mostly private lessons for adults but can set up a group setting if you want to bring your friends and learn together. Our classes have a strong focus on skill building. We cover most everything starting with hand stitching, tool safety and care, machine basics, ironing, cutting, designing and drafting our own creations. You or your child are sure to create life-long skills that will come in handy. My mobile studio goes to a number of schools throughout the county teaching classes about hand sewing, wet and needle felting, sewing machine use, and more. I have worked with a variety of classes and age groups. Here are a few of the projects we’ve created from Blue Lake Elementary, Sunny Brea Middle, Grant Elementary, and Peninsula Elementary. 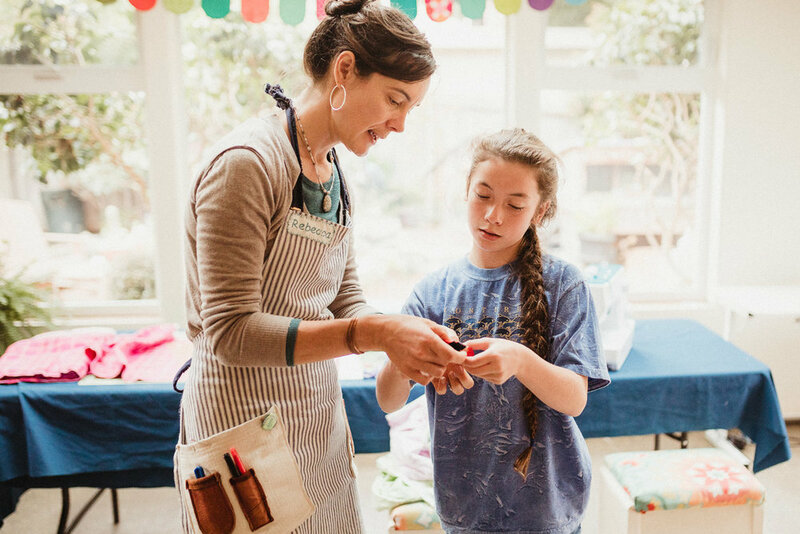 We offer after-school classes at my Eureka garden studio. These are small classes(up to 4 students max.) where the student can choose what type of project(s) they wish to pursue. This class is designed for students who have experience sewing and can work independently. If you are interested please contact us. Notions sewing studio started as just that… a wild notion. Having spent a good portion of her life sewing Rebecca Hubbard opened Notions Sewing Studio in December 2016. Born out of a love for teaching, a passion for fiber arts, and the challenge of being a small business owner Notions has been a dream come true. From her early childhood Rebecca always saw herself as being an artist. She went to school to study fine art, obtaining her Bachelors of Fine Art from Southern Oregon University. She followed an adventurous life traveling the world creating art, cooking for various crews, living in remote wilderness locations and eventually settling in Eureka, California with her partner. This is where her passion for sewing and teaching met and she began teaching classes in 2012. Through visiting the studio you may notice her passion for art goes beyond the formalities of cloth and paper, ever a gardener and nature-lover, she brings her love for color to the landscape. In her free time she enjoys the company of her husband and their fur and feather family.